Puffin Island known in Welsh as Ynys Seiriol is an uninhabited island in the Menai Strait, situated off the eastern tip of Anglesey. The Welsh name of Ynys Seiriol translates into English as Seiriol's Island. In the sixth century St. Seriol (born circa 494) established a monastic settlement on the island and on Penmon Point on the mainland of Anglesey, where the remains of Penmon Priory and St Seiriols Well may be seen . In old age it is thought that St Seiriol retired to the island, known then as Ynys Lannong (Priestholm) and it was renamed Ynys Seiriol in his honour. He is reputed to have been buried on Puffin Island. A monastery existed on the island in the late twelfth century and was mentioned by the chronicler Gerald of Wales who visited the area in 1188. King Cadwallon ap Cadfan of Gwynedd is reported to have sheltered at the monastery in around 630 when fleeing an invasion from Northumbria. Llywelyn the Great issued two charters in 1221 and 1237 confirming the canons regular, in possession of the island and the church and manor of Penmon on the mainland of Anglesey. The ruins of several ecclesiastical buildings are still visible on the island, including the remains of a twelfth century church. In 1841 a semaphore telegraph station was built on the north-eastern tip of the island. From 1860 onwards, the old semaphore system was gradually superseded by electrical transmission and many of the intermediary stations like the one on Puffin Island were closed down. It has stood in ruins since the beginning of the 20th century. The island is a Special Protection Area, particularly because of its Great Cormorant colony of over 750 pairs, making it one of the largest colonies in the British Isles. It also has good numbers of Guillemot, Razorbill, Shag and Kittiwake nesting, and in recent years small numbers of Common Eider and Black Guillemot. On the far side of the island grey seals can sometimes be sighted. The Puffins from which the island derives its name bred in considerable numbers at one time, with up to 2,000 pairs recorded. 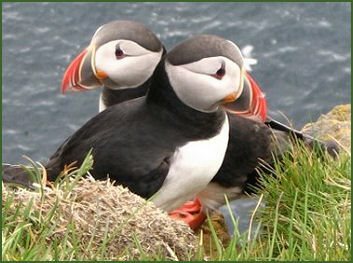 At one time young puffins were said to have been caught, pickled in barrels and then send them to England to be sold. The Brown Rat was introduced accidentally to the island, probably in the late 19th century, and reduced this population to a very few pairs. A programme of poisoning these rats started in 1998 by the Countryside Council for Wales appears to have eradicated them, and the Puffin population has shown an increase since that date. 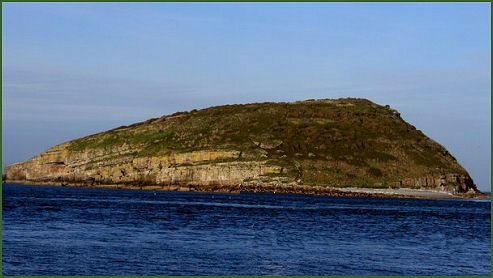 Each summer, the RSPB organise wildlife cruises around Puffin Island with live commentary and you can see many of the birds listed above as well as gannets, chough, peregrine falcons and storm petrels. Boat trips are also available from Beaumaris Pier, between Easter and October.